Our first hidden picture activity sheet has been such a hit, we’ve created another one! 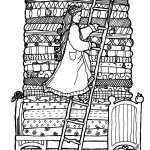 The Princess and the Pea is a classic fairy tale that is wonderful for kids with big imaginations. The princess has lost quite a few things in this picture and she needs help finding them. Can you help her find the pea, the apple, a pencil, a rose, bird on a nest, spoon, bowl, snail, key, glove, piece of watermelon, a pretzel, a ring, snake and a book? Click on the images below to print full size. Hidden picture activities are the perfect supplementary activity for teachers, homeschool or just preschool story time with Mom or Dad.